For as long as I can remember, this meal has been my absolute favorite. 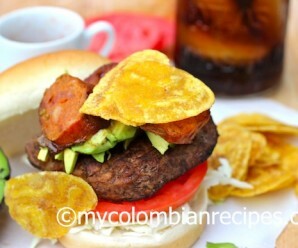 The one dish that I am loyal to above all else… Arepa con Chorizo y Hogao. When I was a kid, I would request it whenever my mom asked me what I wanted for dinner. It is a simple dish, but I can eat it every day! 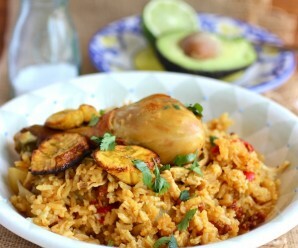 Super easy to make, flavorful, tasty and fun. 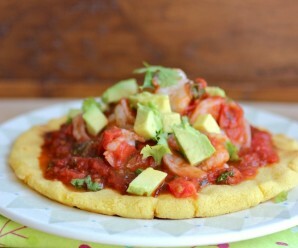 To assemble: Place the arepas on a platter and top them with the hogao. 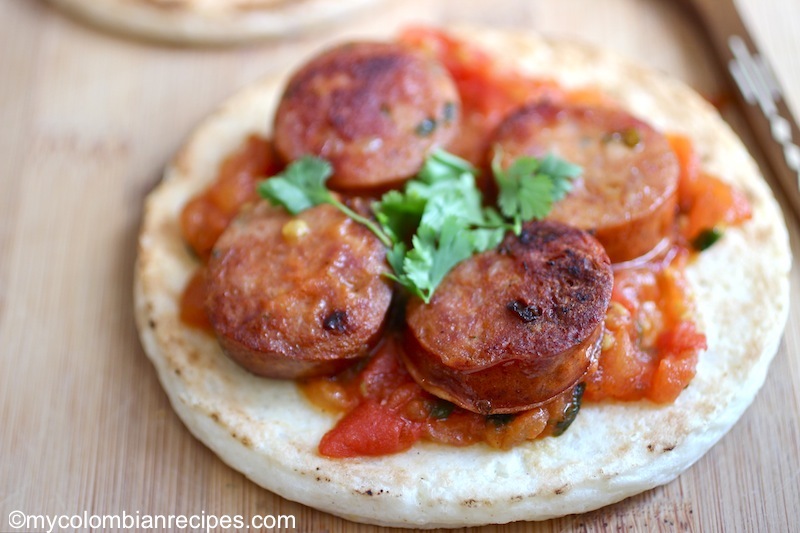 Add the chorizo slices on top of the hogao. Season with salt and pepper, to taste. Add fresh cilantro on top and serve. Erica, each of your recipes is such a treat! Merry Christmas! I can see why it’s your favorite. 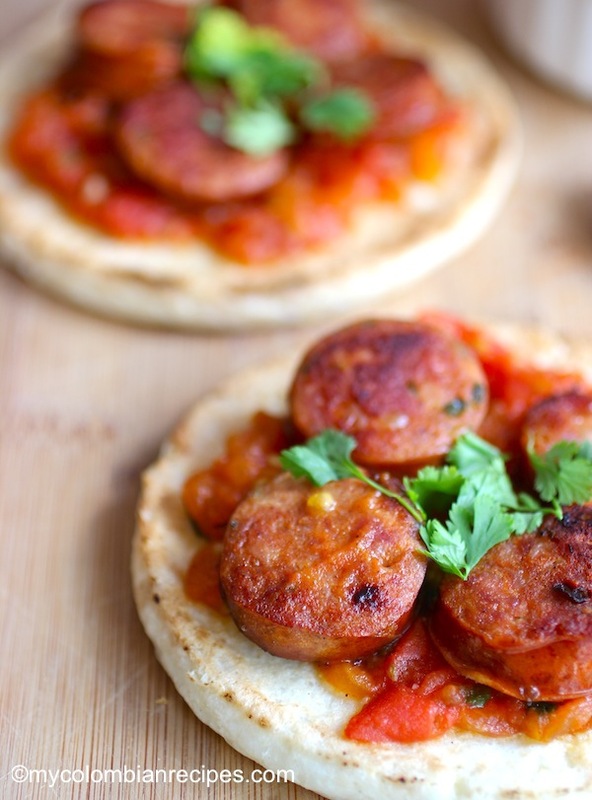 Get weak at the knees with chorizo. You know exactly what I like. This is my kinda treat. Se me hace aguar la boca! Pero no se consiguen aqui on Ohio. Será que nos dar una receta para hacer los chorizos? Los quiero aprender hacer, porque tambien son mis favoritos! 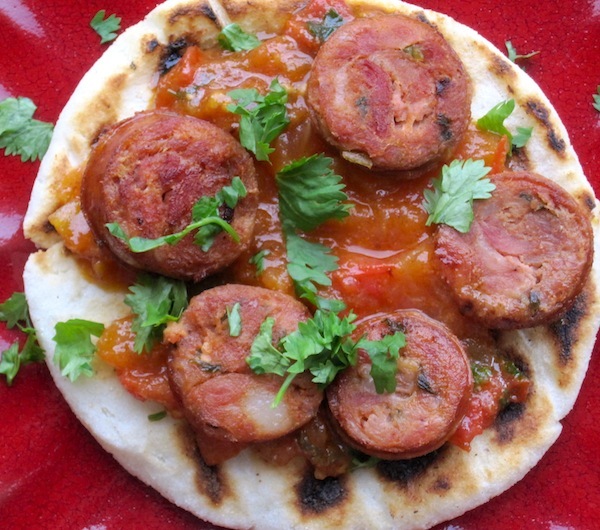 I am going to post a recipe for Colombian chorizos. Simple is best! 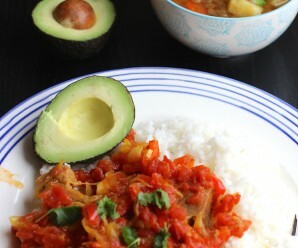 I cannot wait to give this yummy meal a try.